If you’ve ever stopped and questioned your own intelligence, you’re probably fine. Truly stupid people don’t have that awareness. Hey! My name is Zoe, and I enjoy reading weird sentences like that one. Here is another: The title of “oldest person alive” is a relatively permanent one. Once you earn it, you get to keep it for the rest of your life. Anyways, this is my third year as a staff reporter for Newspaper. My love for writing started with a character named Doorkadoo; a kid who was given that nickname because everyone forgot what his first name was. I created his story and now I wish to create more. Besides writing, I love music. 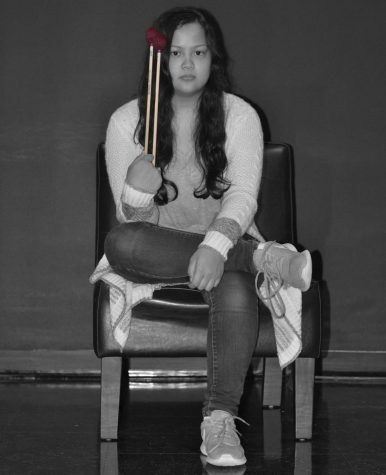 I play marimba for The Pride of the East. This is my fourth year performing for the school’s marching band. During freshman year, my plan was to major in creative writing then become an author. As a senior, I plan to major in English then become a teacher. I never thought my career choice would change. Besides band and newspaper, I do nothing. So my boring bio is over. You’re welcome internet.